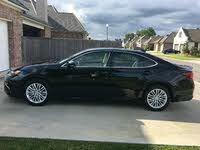 Looking for a New Toyota Avalon in your area? CarGurus has 1,301 nationwide Toyota Avalon dealers with 28,652 new car listings. In an attempt to attract a younger audience, Toyota goes back to the drawing board for the fifth-generation Avalon. With new tech, new looks, and more power, Toyota's Avalon is better than ever. A longer wheelbase, a big power bump, and some new standard safety equipment make a great deal even better, although a few omissions and oversights tarnish what would otherwise be a nearly perfect package. The Avalon has always been popular, but that doesn’t mean it doesn’t suffer from some image problems. To start, it still floats somewhere between the Camry and the Lexus ES. Couple that with its reputation as an “old person’s car,” and you’ve got a recipe for inconspicuousness. That’s a shame, because the Avalon has a lot to offer: big power, lots of space, and a ride that puts comfort before performance. After all, how often are you taking your sedan out on the track? This year, the wheelbase stretches 2 inches, while the overall length drops an inch, further enhancing stability at speed. But before you notice the proportional changes, you’re sure to spot the new grille up front. At this point, any casual observer would be easily forgiven for mistaking the Avalon for the ES with the very controversial grille design now showing up in the former. 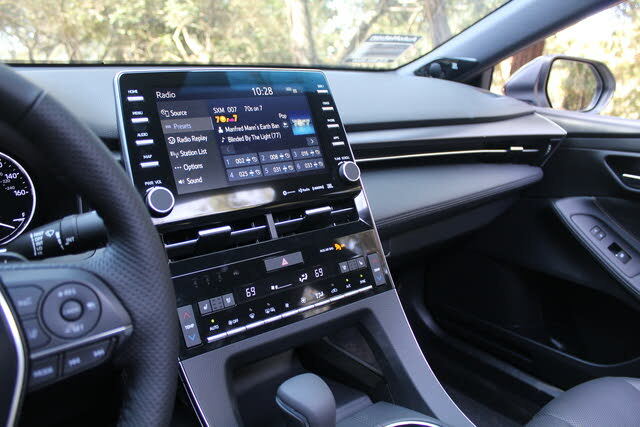 Starting with the XLE trim, the Avalon’s base price of $35,500 will get you 17-inch alloy wheels, auto LEDs, dual-zone auto climate control, keyless entry and ignition, pleather for the heated power seats, heated mirrors, and the long list of tech and safety features I mentioned above. The XSE adds to this package and hopes to inject some sport into the mix with 19-inch wheels, gloss black exterior trim, a sunroof, rear spoiler, and interior treatments and upgrades like paddle shifters, aluminum trim, microsuede seat panels, and extra engine noise pumped in through the stereo for $38,000. But the Limited trim loses all that except the sunroof. 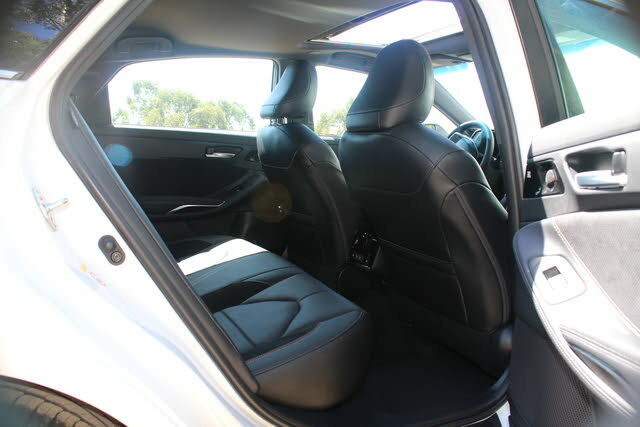 Instead, it adds 18-inch wheels, a head-up display, actual leather and wood trim, heated rear seats and steering wheel, a lighting upgrade inside and out, wireless phone charging, embedded navigation, and an upgraded JBL stereo for $41,800. 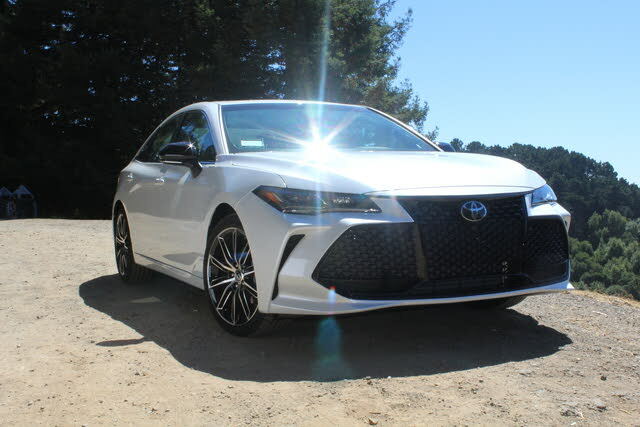 I spent a week in the top Touring trim, which combines the features of the XSE and the Limited and further adds an adaptive suspension, sport exhaust, active noise cancellation, and a Sport+ driving mode. With an MSRP of $42,200, an $1,150 Advanced Safety package, $395 for Wind Chill Pearl paint, and a $920 delivery fee, the walkaway price of my test car came to $44,665. 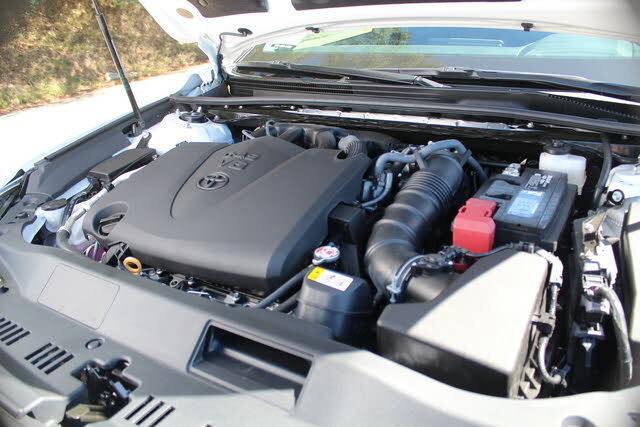 Regardless of trim, you’ll be treated to the tried-and-true 3.5-liter V6 that seems nearly ubiquitous in Toyota and Lexus offerings of late. But this year, you’ll get some upgrades: more power from the engine and more gears in the transmission. With an additional 33 horsepower and 19 lb-ft of torque, the Avalon is now in the 300 club with fresh totals of 301 hp and 267 lb-ft. Pushed through a new 8-speed transmission to the front wheels, the power translates to an EPA-estimated 26 mpg combined for the base XLE trim with 22 city and 32 highway, while the rest of the lineup gives up 1 highway and 1 combined mile per gallon thanks to a curb weight that inches a bit closer to the maximum of 3,750 pounds. 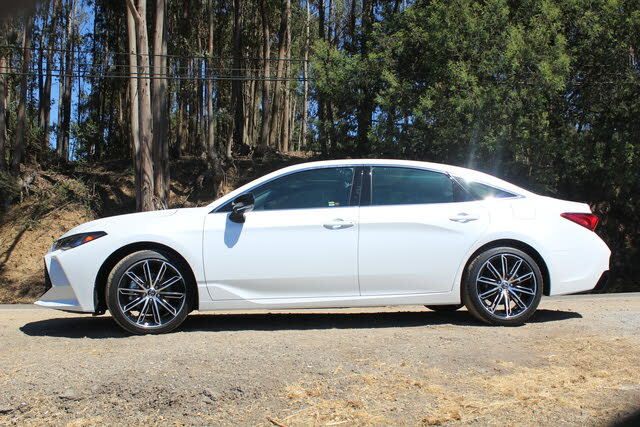 Personally, I found my average fuel economy closer to 19 mpg, but I was being extra liberal with my application of the throttle, as I found the Avalon a blast to drive. It’s certainly not sporty or exciting, even when in Sport or Sport+ driving modes, but it remains composed and comfortable with light steering and power to spare. If you’re looking for a big, comfortable sedan, the Avalon is a good place to start. It looks great, has plenty of power, and offers space to spare inside. That said, I found the headroom to be slightly lacking, although I am 6-foot-4; my hair brushed the sunroof slightly. Given that the sunroof is standard in everything but the base trim, this is something to take into consideration. Legroom is ample, however, and I could even sit behind the driver’s seat without having to sacrifice any of my legroom up front. 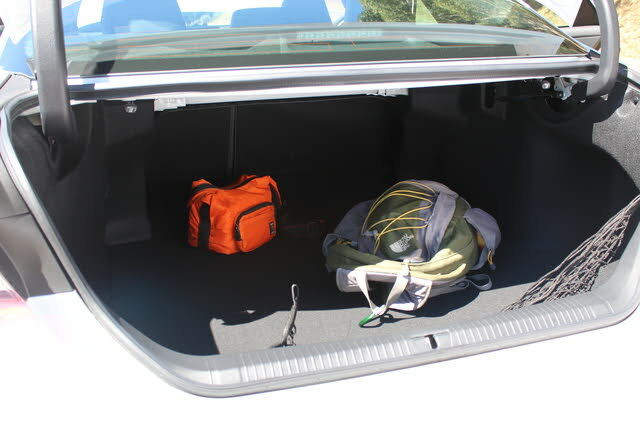 Sixteen cubic feet in the trunk is also quite impressive, although the Chevrolet Impala and Ford Taurus really make waves with 19 and 20, respectively. Interior storage is also more than adequate, with lots of cubbies and cupholders for all your stuff. The wireless phone-charging tray is a little difficult to access behind the gear shifter, especially with big hands, but it’s not the worst I’ve ever encountered, and even better, it’s actually big enough for the larger phones that support wireless charging. The big issue here is the Avalon's lack of all-wheel drive (AWD). Because it’s available only in front-wheel-drive (FWD) configuration, there are whole sections of the country that simply won’t consider the Avalon, thanks to a large portion of the year being snowy. They’ll look to options like the Charger or anything from Subaru for AWD security, leaving vehicles like the Avalon and the Impala at a distinct disadvantage. Apple lovers rejoice, as CarPlay has finally made it into the Entune 3.0 system. Android lovers despair, as for some reason Android Auto is still uninvited to the party. Of course, if you’re using Toyota Remote Connect, that will work with any Apple product or an Android smartwatch, so you’re not completely out of luck. And this year, Alexa support means that Amazon families can join in the fun as well. 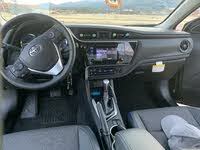 With a 9-inch touchscreen offering pinch-and-zoom for navigation and a Wi-Fi hotspot that can connect up to 5 devices, the big upgrade for the infotainment system this year is its Linux-based, open-source architecture. This alone should attract many more third-party developers, and I hope that will alleviate the dearth of apps that have been available with the Entune system to this point. The Avalon's safety standards should be a cause for celebration. Last year’s standard suite of safety systems got you adaptive cruise, a forward-collision warning system with auto braking and pedestrian detection, lane-departure warning and lane-keeping assist, and auto high beams. This year, you can add blind-spot monitoring with rear cross-traffic alert to the list of standards, and a $1,100 Advanced Safety package adds parking sensors front and rear, a 360-degree camera, and auto-braking for the rear cross-traffic alert system. That’s a hell of a deal. The enhanced standard safety systems are a big part of the 2019 Avalon being named a Top Safety Pick+ by the Insurance Institute for Highway Safety (IIHS). Government safety tests through the National Highway Traffic Safety Administration (NHTSA) have not yet been completed, but braking distance has improved this year, dropping 7 feet so the Avalon will now come to a complete stop from 60 mph in just 115 feet, and that alone is worth an award or two. Value might be the best thing the Avalon has going for it, even with a starting MSRP higher than most of its competition. The difference is in what you get with the Avalon, and that’s a standard suite of safety features that the competition really can't match. But if all-wheel drive is a must-have on your shopping list, the Avalon just doesn’t offer it, so no price tag will make this cost-effective. If not, and if sportiness isn’t high on your priority list, the Avalon represents a hell of a lot of car for not a lot of money. 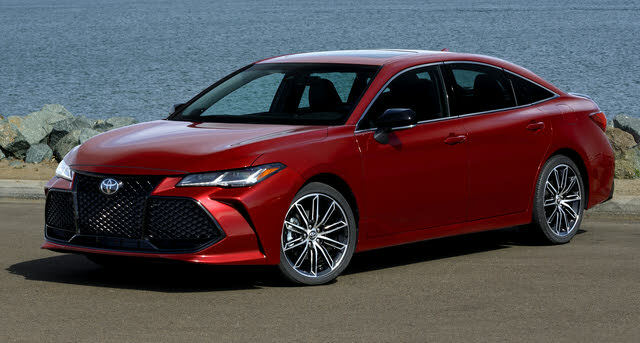 What's your take on the 2019 Toyota Avalon? mrpussy Too expensive..most of the competition offers much of the same and the mileage is not good! I'll stick with the Accord EXL Hybrid. 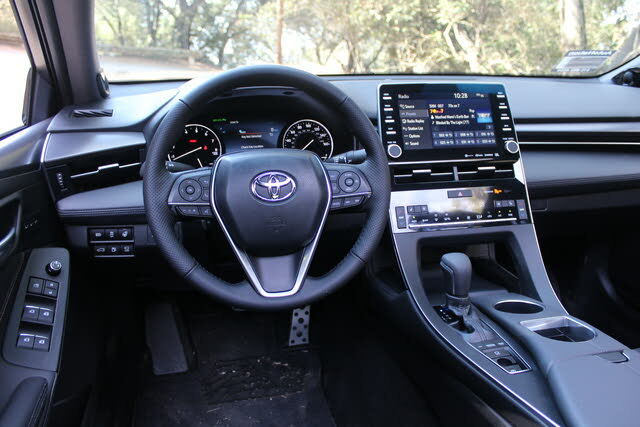 Have you driven a 2019 Toyota Avalon? Enter your zip to see incentives for a new Avalon in your area. CarGurus has 10,207 nationwide Avalon listings starting at $1,800. Is remote start using key fob independent of the Entune remote start using an iPhone? All of a sudden I can no longer start car using my key fob. Can the advanced safety package offer.ed as an option for 2019 Avalon be added by a dealership after the car has been delivered?